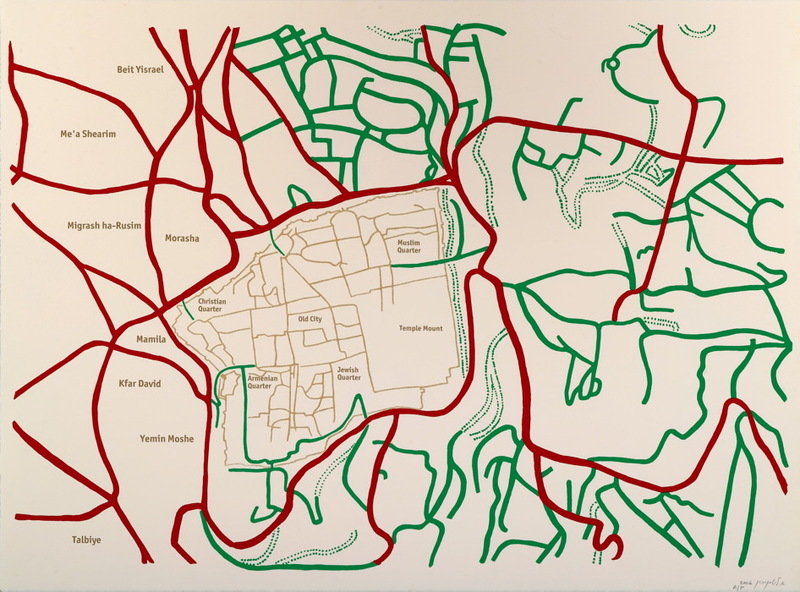 Triggered by the Second Intifada in 2000, these diptych Maps are the outcome of a growing sense of alienation. 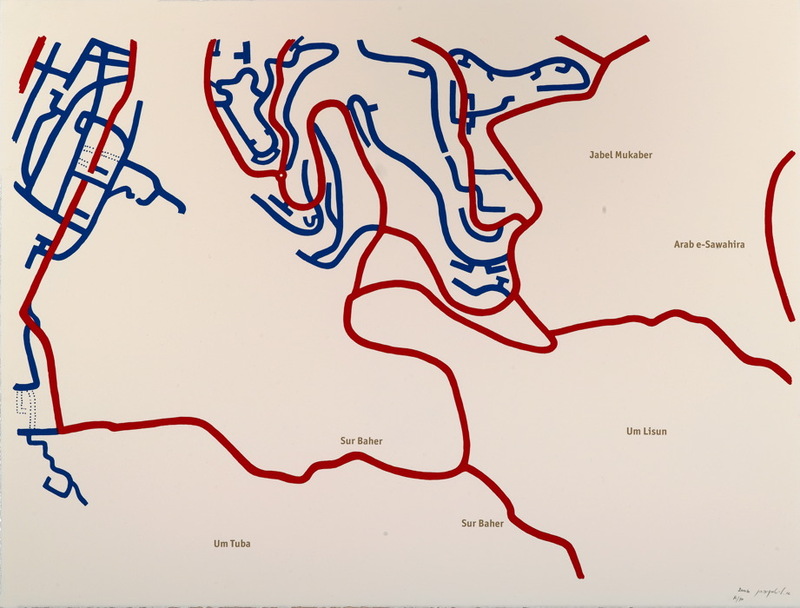 As I worked on the maps I became more acutely aware of the Arab Israeli/Palestinian villages out ‘there’ which I never entered, they became a structural absence right in the center of the maps. 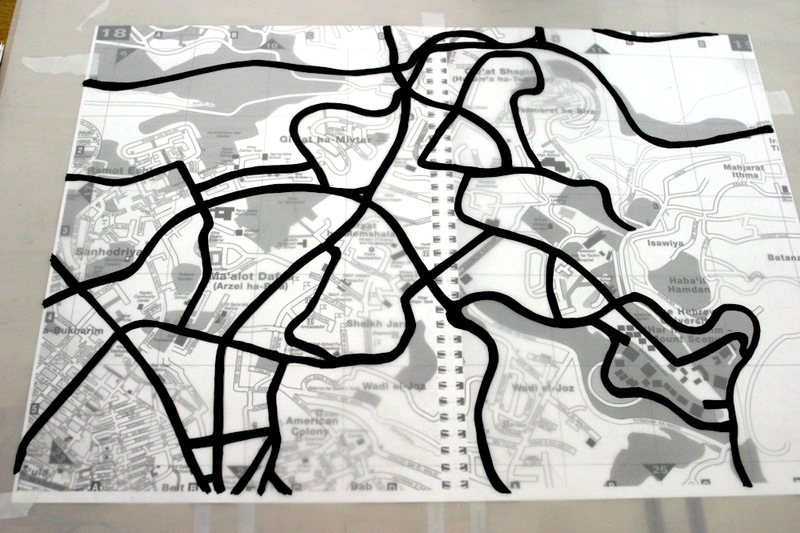 The lines I drew and the names I wrote came to signify a space represented and yet still transparent. 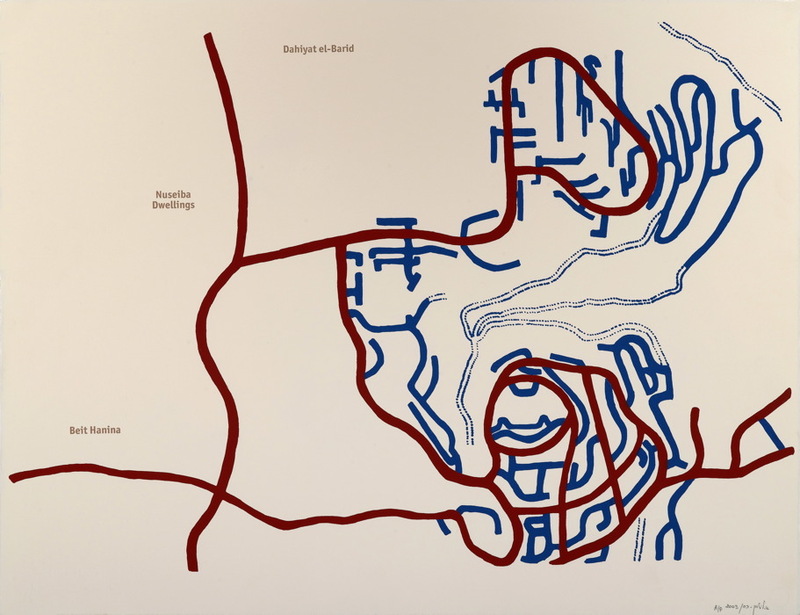 Later, moving from the abstract lines of cartographical maps, I would document with my camera a more concrete reality by physically breaking this alienation. 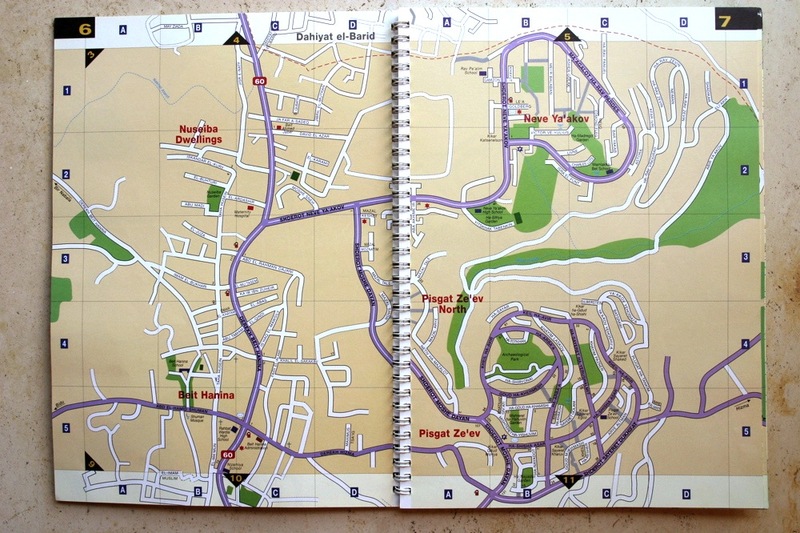 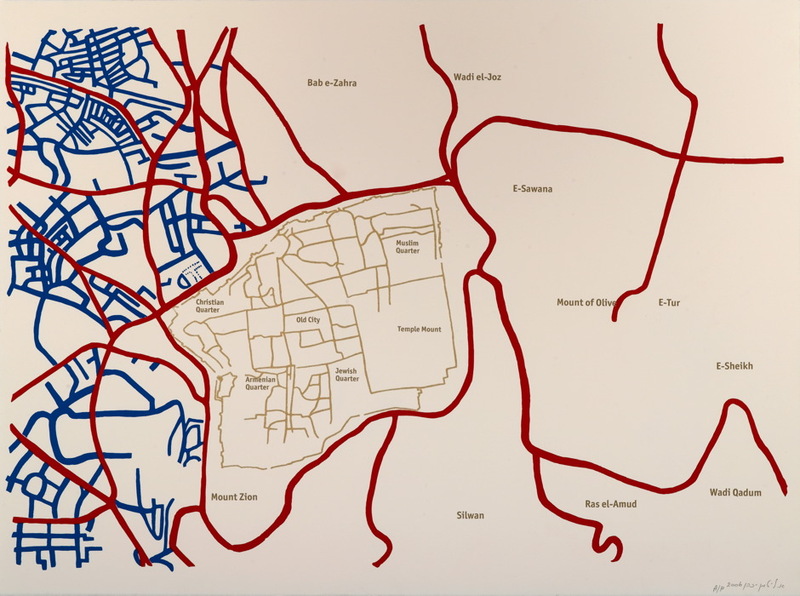 These series of seven diptychs maps based on the New Street Atlas of Jerusalem, deconstruct Palestinian and Israeli neighborhoods around Jerusalem’s borderline, from Gilo near Bethlehem up to Neve Ya’akov on the way to Ramallah. 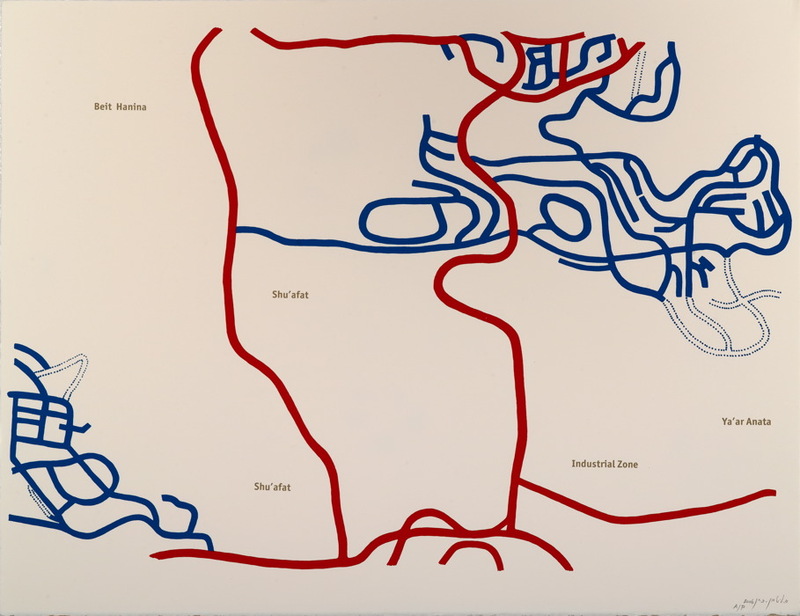 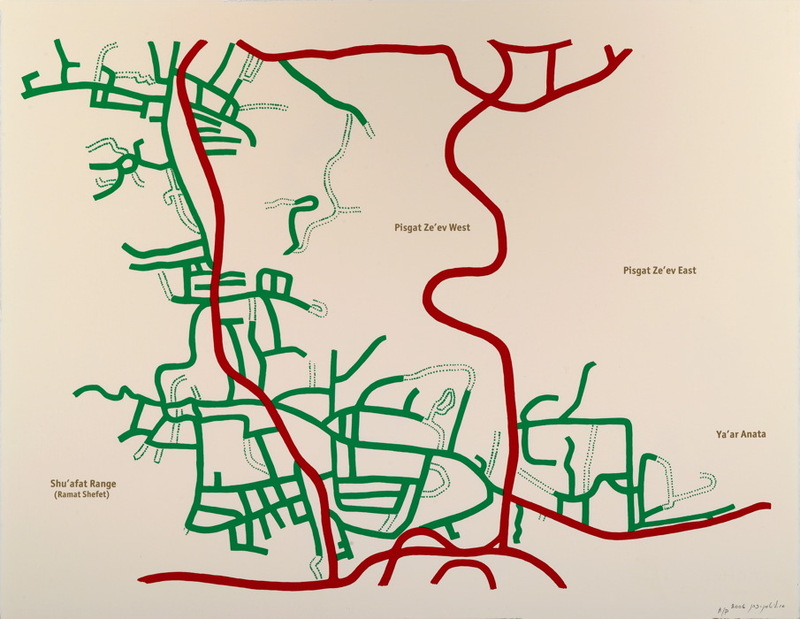 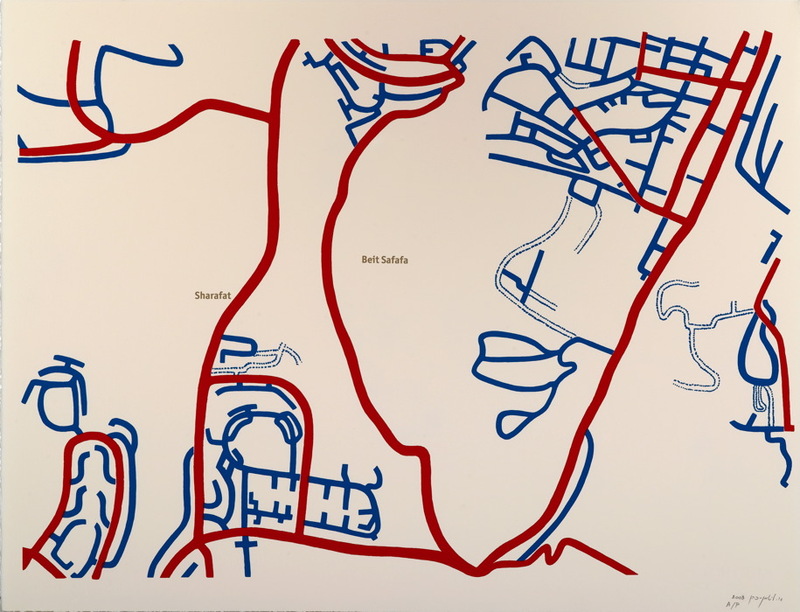 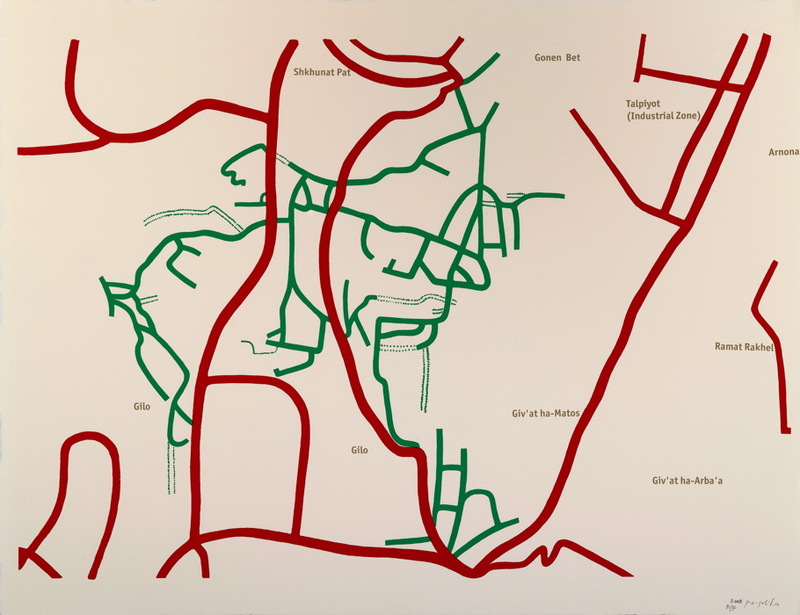 Main roads are drawn in red, while blue streets define the Israeli neighborhoods and green lines represent Palestinian villages. 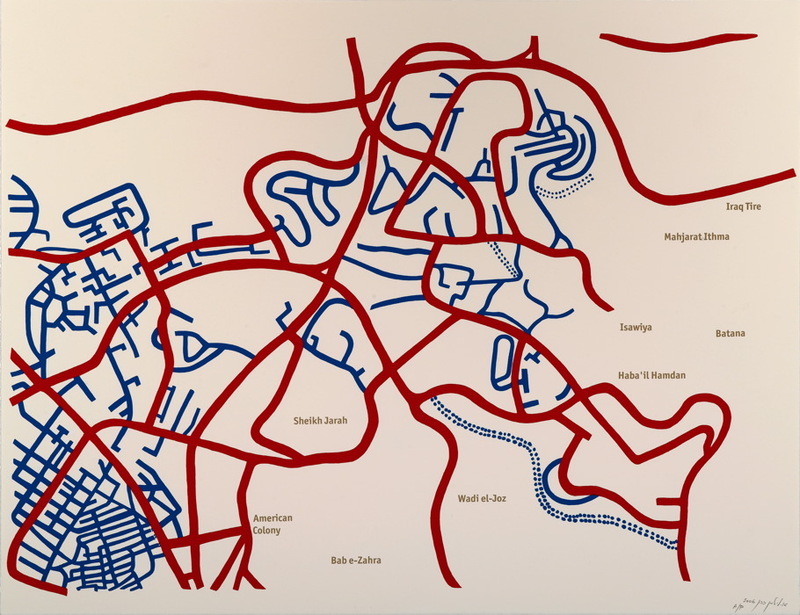 Blue roads never connect with green roads but they do link up to the red roads. 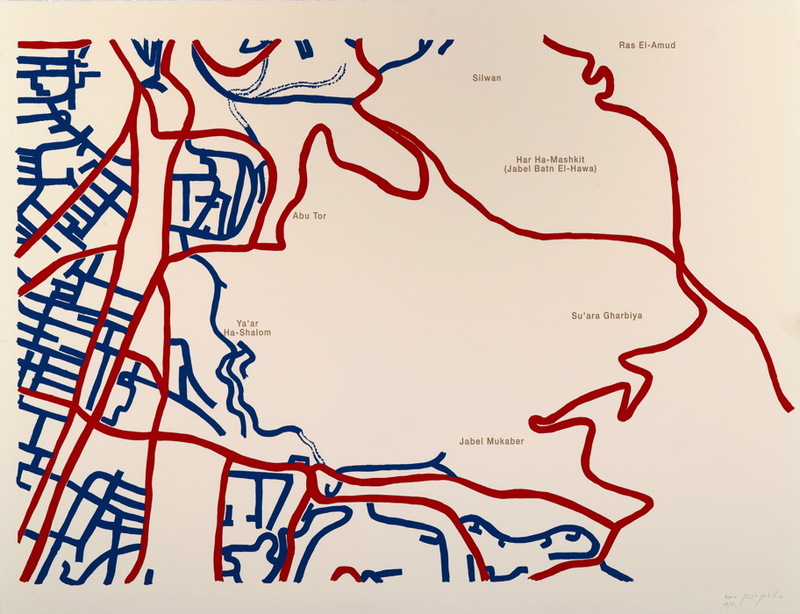 Each diptych always shows colored lines of streets together with the names of the respective Israeli or Palestinian colorless empty spaces, binding both sides together within a same map through an absence/ presence structural resonance. 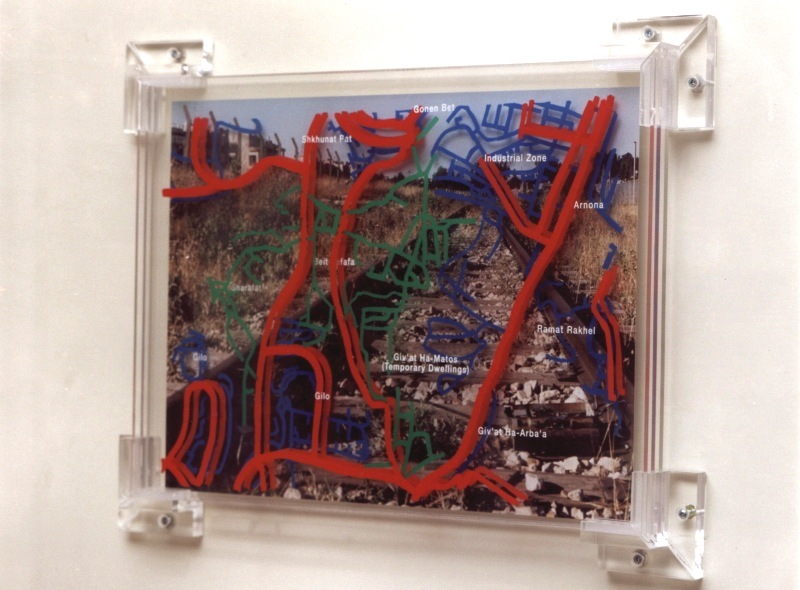 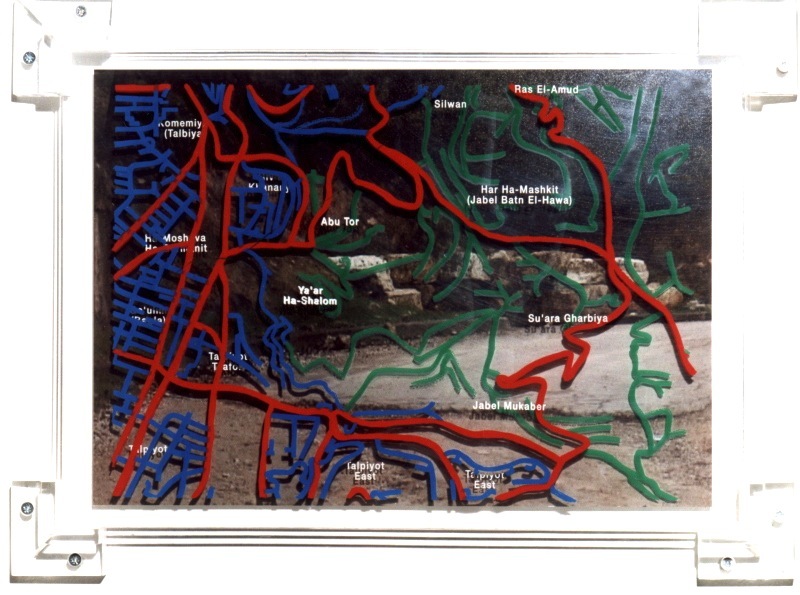 The first two maps were produced as three dimensional Plexiglas objects and included a photograph of the site. 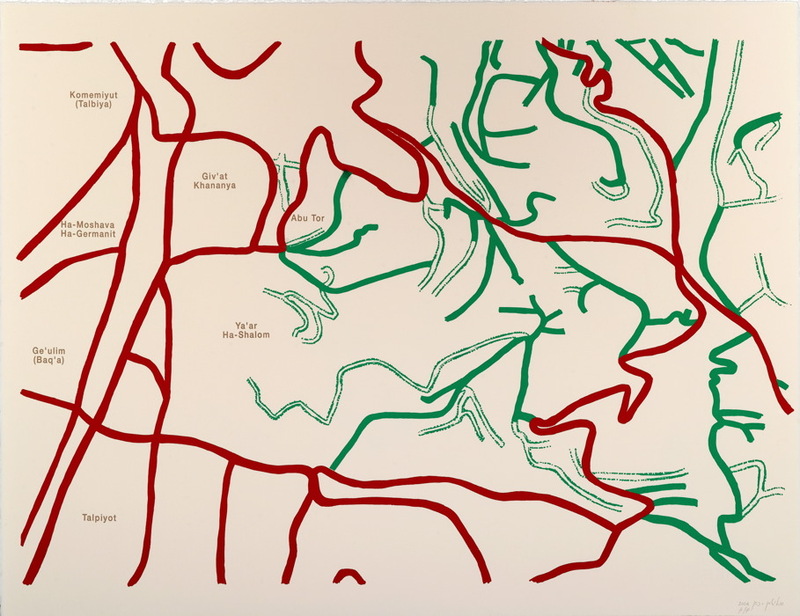 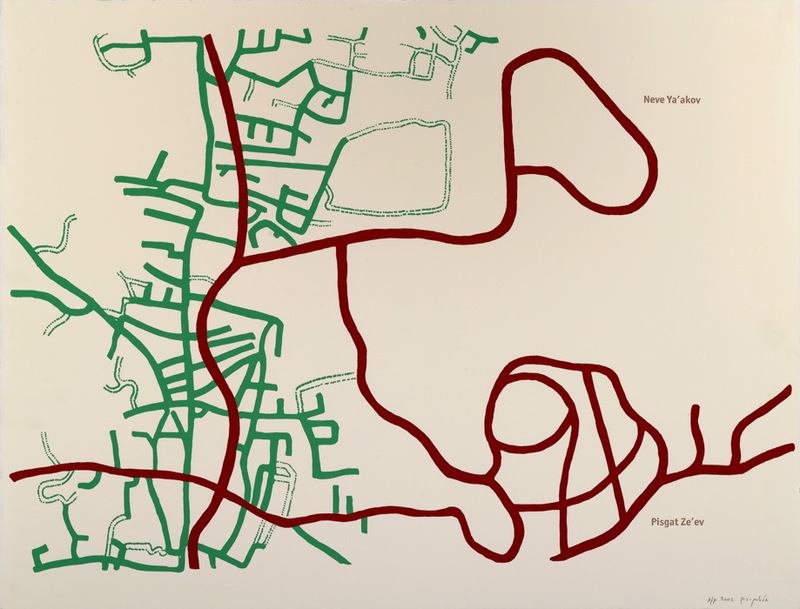 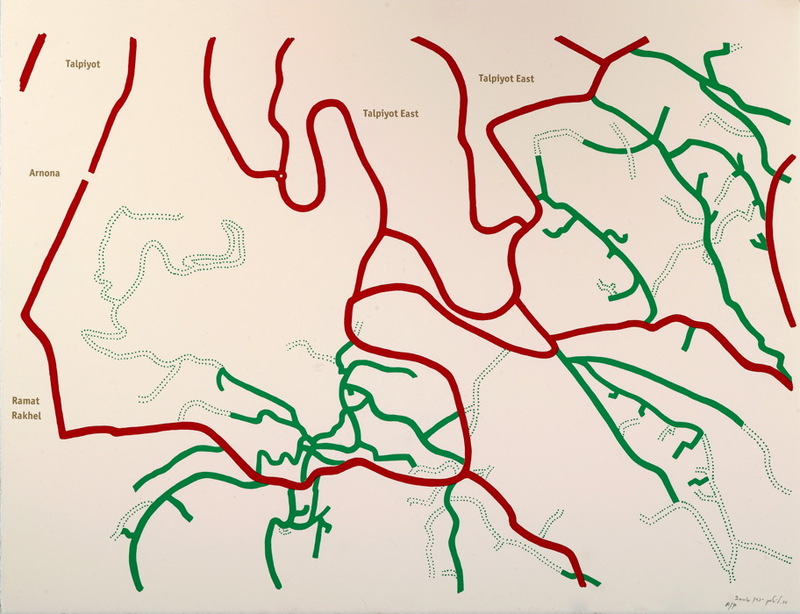 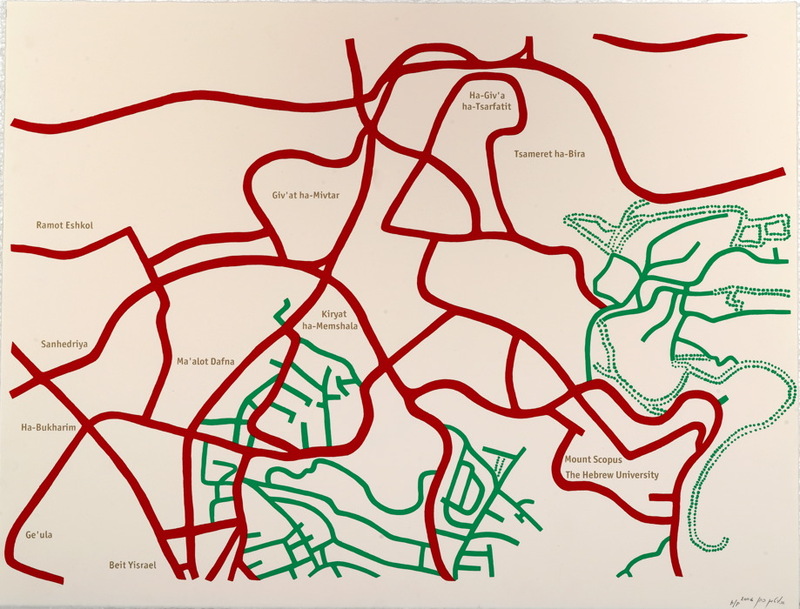 The later and final version of the maps are screen print diptych on paper.